Stay safe on the roads of Parry Sound and Elliot Lake behind the wheel of a new Honda vehicle. 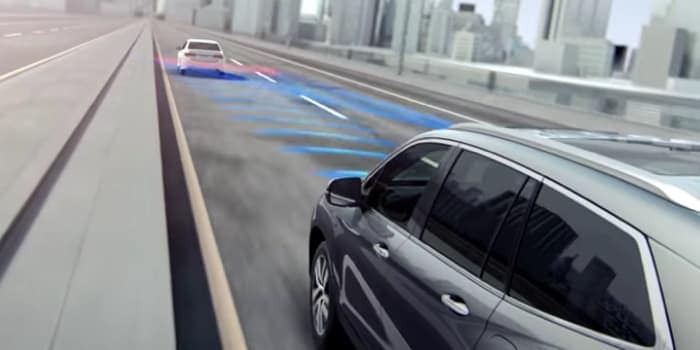 The new Honda lineup has received some of the best safety ratings in the industry, and many models now come standard with the Honda Sensing™ suite of driver assist safety features. 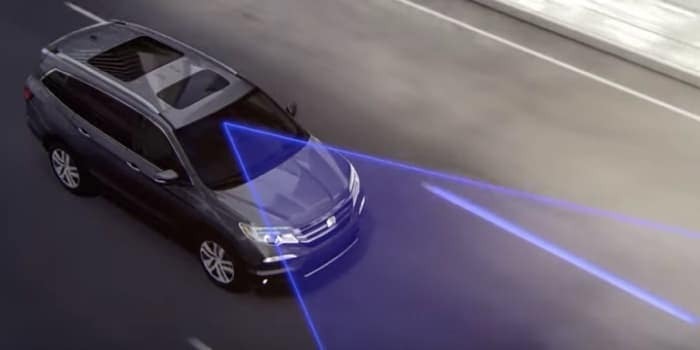 See what comes with the Honda Sensing™ lineup, and then check it out near Sturgeon Falls at Palladino Honda in Sudbury, ON. 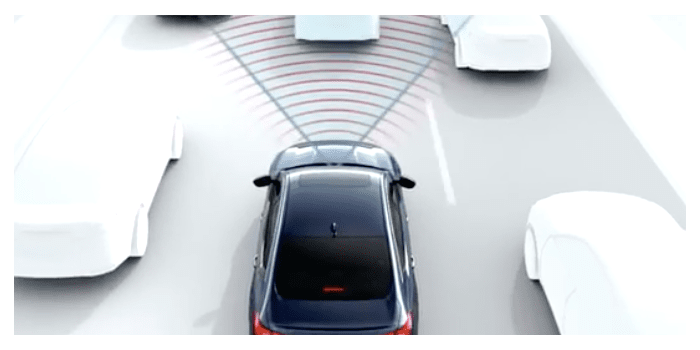 Utilizing a millimeter wave radar sensor, CMBS can help bring your Honda to a stop when the system determines that a collision with a vehicle detected in front of you is unavoidable. A warning sounds and, if necessary, brake pressure is automatically applied6. ACC helps you maintain a set following interval, so you don’t have to manually change your speed4. LKAS can reduce driver fatigue by helping to keep you in the middle of your lane. If you begin to leave the center of a detected lane without signaling, the steering adjusts to keep you centered2. If your vehicle is drifting too close to the side of the detected roadway while driving 45–90 mph without a turn signal activated, RDM alerts you with rapid vibrations on the steering wheel. If you continue to leave the roadway, it can also apply steering torque and braking to help keep your vehicle in the detected lane3. LDW can detect unindicated lane departures from surrounding lanes. Alerts will flash and sound to help bring your attention to correcting the lane drift1. 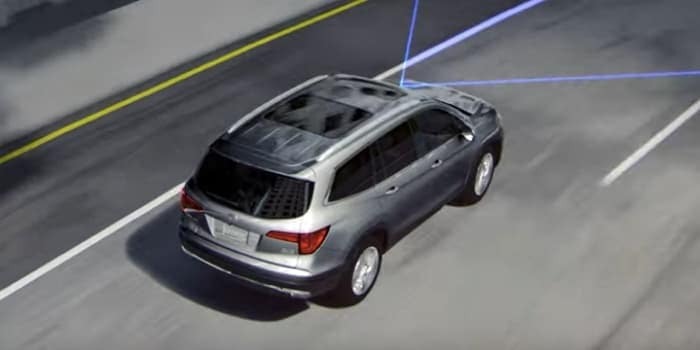 Integrated with the Collision Mitigation Braking System™ (CMBS™), FCW uses a small camera mounted at the top of the front windshield to detect the presence of vehicles in front of you. 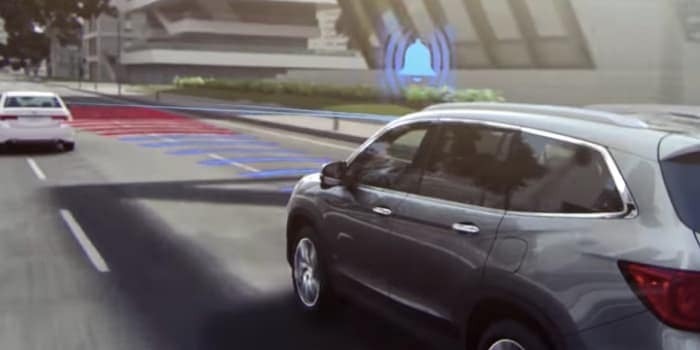 If the FCW system determines that you are at risk of a collision with a detected vehicle, it activates audio and visual alerts to warn you5. If you fail to act, the CMBS will automatically apply brake pressure6. Road Departure Mitigation only alerts drivers when lane drift is detected without a turn signal in use and can apply mild steering torque to assist driver in maintaining proper lane position and/or brake pressure to slow the vehicle’s departure from a detected lane. Road Departure Mitigation may not detect all lane markings or lane departures; accuracy will vary based on weather, speed and road condition. System operation affected by extreme interior heat. Driver remains responsible for safely operating vehicle and avoiding collisions.